20 years old, Julia Gershun from Ukraine was emerged as the best out of the 40 contestants and won the crown of Top Model of the World 2017. Julia is a professional model, TV Host, Actress and speaks 4 languages (English, Russian, Ukrainian and French). Margo Cooper of Bulgaria – winner of the 2016 edition crowned Julia as the new winner. The 24th edition of Top Model of the World was held in El Gouna, Egypt last July 15, 2017.Margo Cooper of Bulgaria. In the top 6 were Philippines, Christagale Borja, Belarus, Polina Pimahina, and Seychelles, Naomi King. 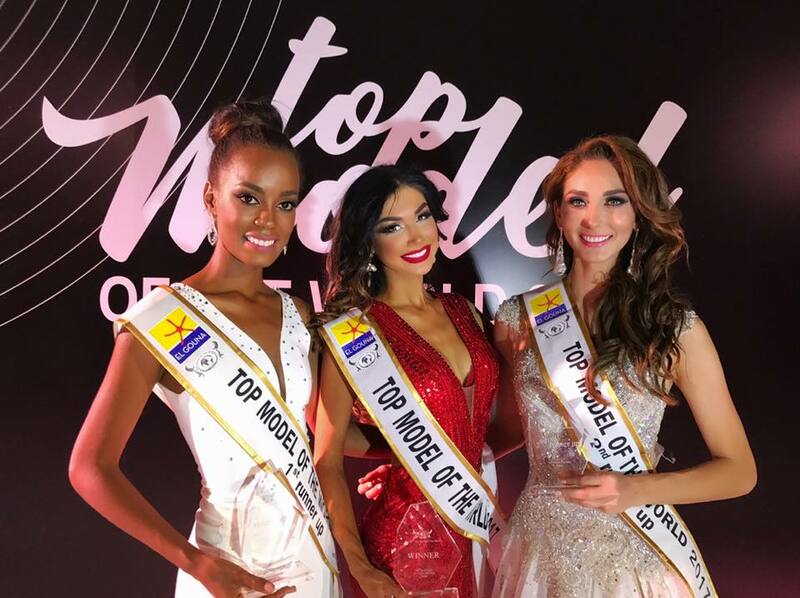 Top Models from Thailand, South Sudan, Hungary and Egypt completed the top 10. In the top 20 were top models from Vietnam, Spain, Italy, Sierra Leone, Cuba, Algeria, Denmark, Kosovo, Montenegro and Zimbabwe.